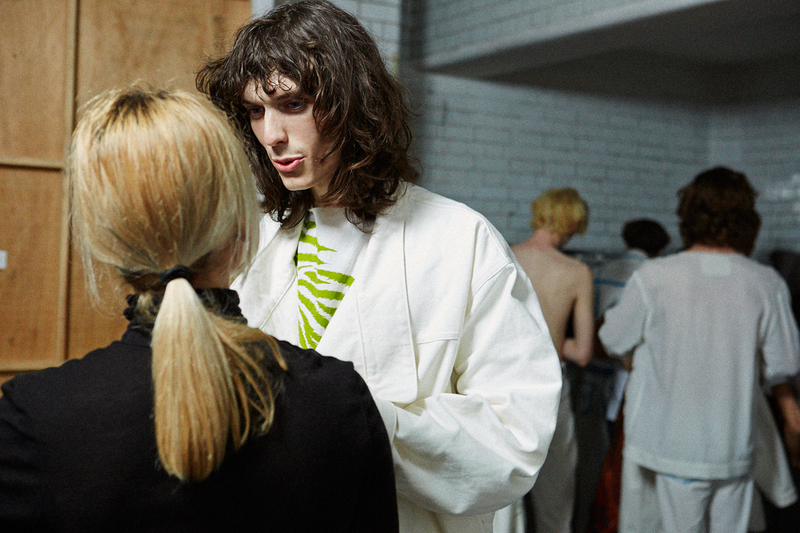 Almost ethereal, and part clandestine, Alex Mullins’ SS16 collection was displayed in a static presentation in an industrial-feel, underground, white clothed space. Never unobtrusive, but minimalist to a fault, Mullins’ designs are structured in such a way that the detail is the hero. A return to bright colours, flecks of blue were woven into a white denim box-cut jacket, and muted hues of navy, burgundy and mustard were graffitied across a bomber jacket and cigarette trousers. Think holiday, think of your surrounding environment, and you have garments trademarked in textiles that give off the smell of sandy beaches, market stalls, and adventures. A green speckled bomber jacket and trouser combination was a showstopper, as was an oversized kimono-esque open coat and wide pants covered in large sketches of bright orange, yellow, green and pink. White, relaxed cottons featured amongst acid washed denims to permeate balance and difference, but never purity. 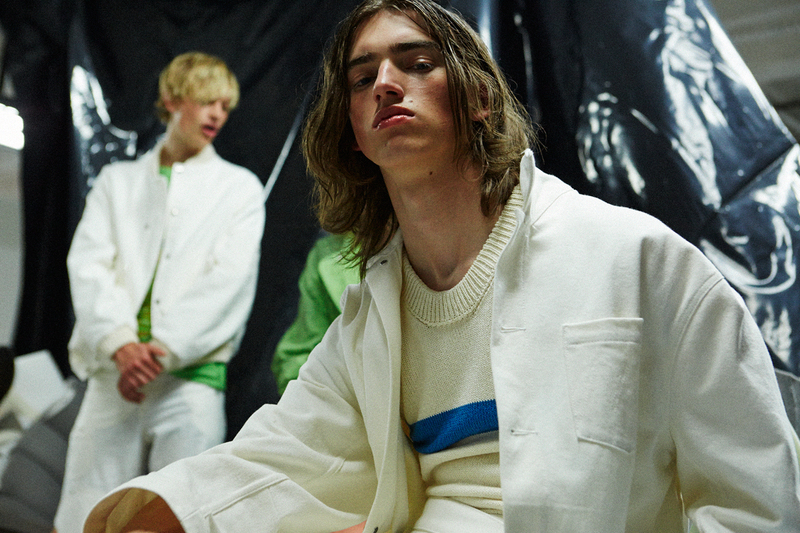 If the heartthrob inspired his FW15, then SS16 is the guy you meet while camping over summer.